DVDFab Blu-ray Cinavia Removal for Mac, the first lossless Cinavia Removal solution on the Mac platform to remove Cinavia Audio watermarks. In Blu-ray Copy option, with the work in conjunction with DVDFab Blu-ray Cinavia Removal for Mac, the audio tracks affected by the Cinavia watermark, including DTS HD Master Audio, will be copied as the lossless DTS-HD audio and 100% restored to the original audio track in terms of sound quality. 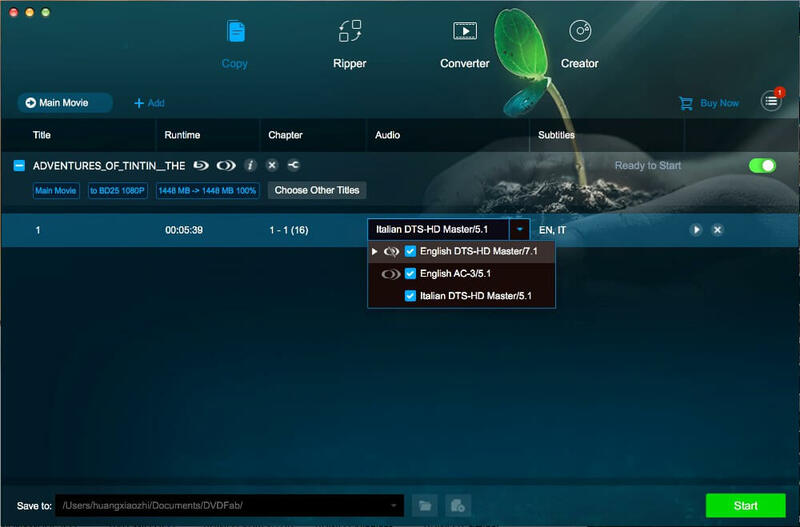 While in Blu-ray Ripper and Blu-ray to DVD Converter options, the selected audio track with Cinavia watermark, also including DTS HD Master Audio, will be converted to various audio formats with high quality output. According to Blu-ray protection specifications, Cinavia technology became mandatory for all Blu-ray disc players as of February 1, 2012, which probably means that any home Blu-ray playback device shipped since then comes with a Cinavia detector. However, don't worry. DVDFab Blu-ray Cinavia Removal for Mac produces a completely Cinavia-free backup that works on all the affected playback devices. With the help of the Blu-ray Cinavia Removal for Mac, your Blu-ray Copy for Mac (Main Movie mode), Blu-ray Ripper for Mac and Blu-ray to DVD Converter for Mac will be armed with the extra capacity to remove the Cinavia watermarks from infected Blu-rays. DVDFab Blu-ray Cinavia removal solution is available in Blu-ray Copy for Mac, Blu-ray Ripper for Mac and Blu-ray to DVD Converter for Mac. For Blu-ray Copy for Mac and Blu-ray to DVD Converter for Mac users, please refer to Part 1, and for Blu-ray Ripper for Mac users, please refer to Part 2. Launch DVDFab 10 for Mac, navigate to Main Movie mode or To DVD mode under Copy option, and insert the target BD into the Blu-ray drive for DVDFab to access, or simply drag and drop the source into the main UI for loading if it is an ISO file. If the disc is protected by Cinavia, a window with the message (see below) will appear. At the Audio selection box, select the Cinavia affected audio track and at the same time click on the Cinavia logo until there is a red slash across it; choose the output size as BD 50 or BD 25, and then choose an output path to start the backup process. 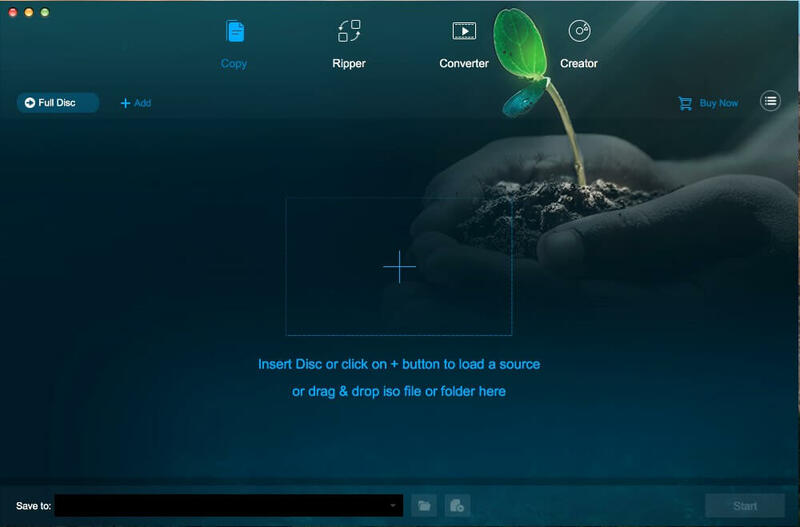 If you are working with Blu-ray to DVD Converter for Mac, you could personalize the output DVD playback including the playback menu, playback mode, volume label, etc. Launch DVDFab 10 for Mac, navigate to Ripper, and insert the target disc into the Blu-ray drive for DVDFab to access, or simply drag and drop the source into the main UI for loading if it is an ISO file. If the disc is protected by Cinavia, a window with the message (see below) will appear. Choose a conversion profile from the built-in profile library, select the Cinavia affected audio track and at the same time click on the Cinavia logo until there is a red slash across it, and then choose an output path to start the backup process. Click the Start button to send the execution command to DVDFab. Once the conversion is started, all you are left to do now is to wait. The Cinavia watermark will be completely and permanently removed from the audio track. 1. Considering the huge data of lossless DTS-HD audio, users can only choose BD 50 or BD 25 at the output size selection box. 2. While selecting the Cinavia affected audio track, you need to both check the selection box, and click on the Cinavia logo before the selection box until you see a red slash showing up across the logo. 3. If there is more than one audio track embedded with the Cinavia watermark, you can only select one to remove at a time, at least for the time being. 4. To remove Cinavia, the chapter selection and audio trimming features are not available. 5. While selecting the Cinavia affected audio tracks, if you see a black Cinavia logo, it means that audio track is not supported yet. 6. Rips made with audio content recorded in theatres are not supported and it is likely they will never be. 7. While choosing conversion profiles with Blu-ray Ripper, profiles of AudioCopy and Passthrough are not supported to remove Cinavia for the time being. Back up Blu-rays to blank BD50/BD25/BD9/BD5 discs, ISO files or folders with up to 5 backup modes. Rip and convert Blu-rays to popular 2D/3D videos and audios for playback on compatible devices. Downscale and convert Blu-rays to regular DVD format for playback on home DVD players.